Proud certified installers of A.B. Chance Helical Piles that are proudly made in the U.S.A. Learn more about Chance by clicking on the video. Experience you need...and can trust. FSI is a locally owned and operated foundation repair company in Atlantic Beach, Florida. 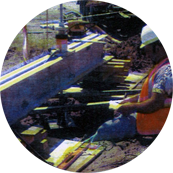 Foundation Systems specializes in pre-construction foundation support via helical piles, foundation underpinning via resistance piers as well as foundation support with helical tiebacks. 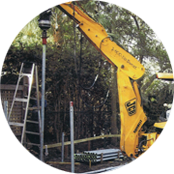 Whether you’re a homeowner looking to learn more about residential foundation repair, an engineer or contractor looking into pre-construction helical piles or general commercial foundation repair in Florida, Foundation Systems can help! Offering engineering services, Foundation Systems is a certified building contractor (CBC059308) and certified engineering firm (CA29861), registered and licensed by the state of Florida. This allows us to offer a professional, turnkey evaluation with design and construction solutions for projects ranging from residential foundation repairs to commercial and industrial building foundation repairs. 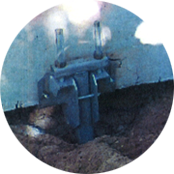 These licenses uniquely position us to offer the highest quality and most credible products such as helical tiebacks, helical pulldowns and resistance piers, tailored to fit your individual foundation repair project requirements. We are locally owned and operated since 1989 in Atlantic Beach, Florida, with the experience you need and can trust. FSI is a locally owned and operated foundation repair company in Atlantic Beach, FL serving residential and commercial customers.